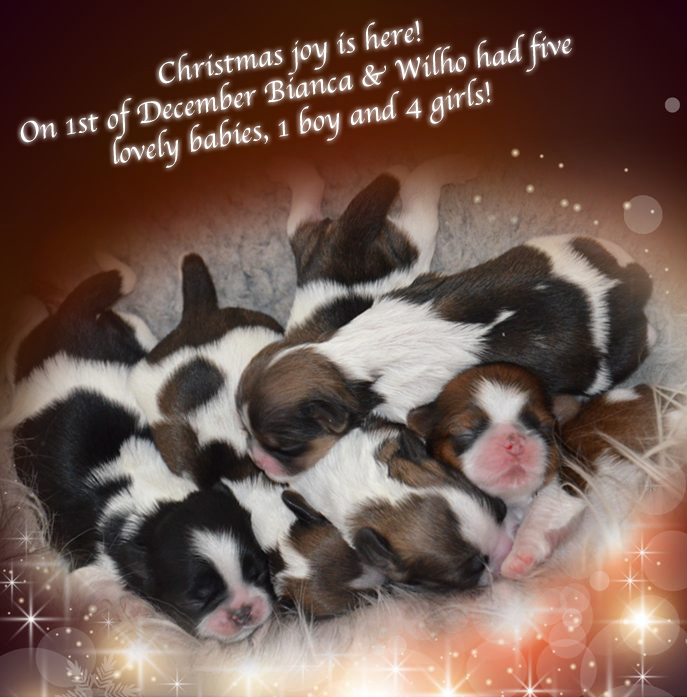 Our babies after Bianca ❤, CH Yung- Lo´s Double Trouble and Wilho ❤, CH Besamano´s Follow Mee Guys are here! 1 boy and 4 girls. All are golden and white except for the youngest girl that is black and white.